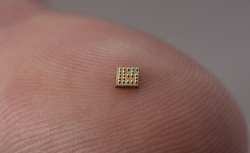 It is – first and foremost – the smallest Bluetooth chip on the market. The ultra-miniaturization of electronic components is crucial for the densification of functions in portable electronic devices and for the Internet of Things. It has the lowest energy consumption – compared to its competitors – for different scenarios of use, thus increasing the autonomy of connected objects, an essential factor in this field. This innovation demonstrates once again the Group’s technological excellence and its micro-technological know-how. 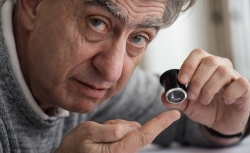 Swatch Group is also one of the world leaders in circuits and systems with very low energy consumption, as well as in technologies adapted to small connected objects (the Internet of Things).